St. Peter & St. Paul, Repps01692 670251work ChurchThe church of St Peter and St Paul at Repps is an architectural mix of styles. Part of the west wall and the base of the tower are all that remains of an earlier Saxon building. 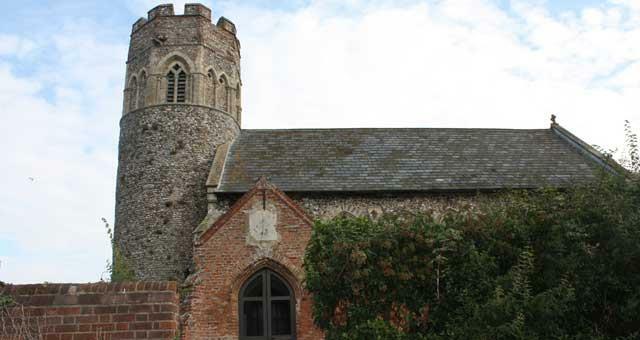 The present round tower, with its octagonal belfry is Norman. 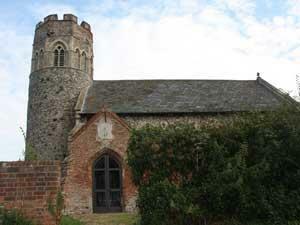 The church of St Peter and St Paul at Repps is an architectural mix of styles. Part of the west wall and the base of the tower are all that remains of an earlier Saxon building. The present round tower, with its octagonal belfry is Norman. Church normally open weekdays from dawn until dusk all year round. Details of services and key availability are in the porch. Turn of the B1152 to Repps. The church is located centrally.